New information released under nationwide NHS transformation plans shows 'polyclinics' could take over most hospital services leaving many hospitals to be demolished and sold off to housing developers. As we know, the sustainability & transformation plans (STP) are being rolled out all over England. This means some areas are at different stages of roll-out and some are behind. clearly we should be watching what's happening with those areas that are ahead of us in the roll-out since we can learn from their experiences and how they are handling the privatisation plans. As our Network expands we liase with other campaigners in the fight to STOP any further cuts & privatisation of our NHS. So far, the STP plans, rolled out under various guises such as 'right time right place, or our own 'Our Health our care', have lacked any detail, with the CCGs and trusts giving the public fanciful ideologies about what 'might' be the way forward. Finer details of the stp however are now coming in, and as expected, NHS England's STP plans follow the privatisation model where the more lucrative routine hospital treatments are 'integrated' into special clinics called Multispecialty community provider (MCP) clinics. The MCP model, as laid out in the 5 year forward view, is where GP group practices 'expand', bringing in nurses and community health services, hospital specialists and others to provide integrated out-of-hospital care. Essentially, private consortium's won't touch Acute (emergency) services since these are high risk with little or no return. So as VirginCare have done, they aim for the more lucrative procedures which are low risk and a guaranteed income. These routine services are currently undertaken in hospital settings. So part of the STP plan is to bring these hospital services 'closer to home' by moving them into new MCP clinics. This means demolishing some GP surgeries and expanding them into MCP clinics where consortium's will bid on which services to provide. *This is the reason C&SR CCG ran the primary care estate survey 2 months ago. Both Chorley & South Ribble CCG and Preston CCG are currently promoting the MCP model (there are several versions of MCPs) and are intent on implementing it. Due to the large NHS deficit it's anticipated most of the MCP services will be contracted to the private sector. Ultimately, due to the loss of income, the NHS will cease to function as a publicly funded service and the CCG's will become insurance based intermediaries providing only basic means-tested services (similar to universal credit welfare). Since hospitals will no longer provide these services, they will be demolished and replaced with much fewer super-hospitals. But the MCP clinics (sometimes called 'polyclinics') are only part of the STP plan. The two main thrusts of the STP plan are to keep people OUT of hospital and 'help' educate them on prevention. Whenever you see the word 'prevention' replace it with 'rationing'. Successive governments tinkering with the NHS have all tried the prevention route and it's always failed. You can lead a horse to water, but you can't make it drink. But there is light at the end of the tunnel, and that light is YOU! Educate yourself, ask your GP what he/she thinks about the STP plans and about GPs spending all their time planning and scheming with trusts to privatise your NHS. what does your MP know? your local health and well-being board or scrutiny committee? Our NHS is on the precipice of collapse. Health bodies previously responsible for running our NHS such as local health authorities and GPs, once fervently opposed to privatisation, are now embracing it with open arms, under the umbrella of market 'commissioning'. We simply cannot rely on others to help save our NHS. The passage of the privatisation policy riddled Health & social care bill into the Health and social care Act in 2012 is PROOF that we can no longer trust the BMA, GP Confederation, politicians and others when it comes to protecting our NHS. Our NHS has been betrayed by the very people we entrusted it to. Battle lines have now been drawn. If WE stand together we can prevent the onslaught of marketeers and reverse the process. Our Health Our Care, and Healthier Lancashire. A plot against our NHS? There is a big NHS change programme being designed across Lancashire and South Cumbria, and we better be prepared. I'm going back a few weeks to the shock news that the local hospital trust board and CCGs are considering options to build a new super hospital and reconfigure or even dispose of Chorley & Preston hospitals. Lancashire Teaching Hospitals (LTH) NHS foundation trust wouldn't mention this unless they were serious about their intentions, and this is why we must be prepared to fight tooth and nail to keep hospital services here in Chorley and South Ribble (C&SR). There is much suspicion, and rightly so, that the Preston hospital site would be sold off for housing development with potentially the same fate for C&SR hospital. This ties in with the Lancashire County Council city build program which dictates future housing development in the region to take into account growing populations. The LTH Trusts and CCGs 'Our Health Our Care' program is a short term plan that runs alongside the longer term 'Healthier Lancashire' program to transform how care is delivered in our region. Both these programs are part of NHS England's five year forward view (FYFV) which divides England into 44 regions called 'footprints'. We are footprint 4, Lancashire & South Cumbria. Each footprint has been ordered to produce a 'Sustainability & Transformation Plan' (STP) by 30th June this year to completely change the way the NHS works. Footprint Boards have to prove they can clear their debts within a year. And how do they do that? They cut more services, close more beds, sell off land and hospitals that are public assets. These plans are not 'pie in the sky' and very soon we will be confronted with decisions that far outweigh the campaign we're currently fighting. "The Strategy and Development Director acknowledged that the processes described within the [STP] presentation were formulaic although this was a tried and tested model utilised by a number of organisations involved previously in significant service change and would ensure avoidance of any potential judicial review". The above is from last months trust board report, although I have doubts over the claim that significant service changes are tried and tested, but we can't take any chances. The first phase of the our health our care has now been implemented. Of course you didn't know about it because you're not supposed to. It's now time for all those concerned to step in and start asking questions about what the details are in the STP plans for our region. What does MP Seema Kennedy or MP Lindsay Hoyle know about these plans? Doctor knows best, or does he? Local Clinical Commissioning Groups (CCGs), which are supposedly 'GP-led', seem to be accepting the plans put before them by the hospital trust board with little or no opposition. This is due mainly to the fact that they too are unaware of the long-term consequences of the plans, which many believe are for the current government to implement a privatised healthcare system similar to that in the U.S. They will aim initially for a 3-tier healthcare system (basic NHS service, NHS services topped up with either private services or fee-paid optional NHS care, and fully private services). *As described in The Plot Against the NHS. Basic NHS services will gradually be replaced with healthcare insurance similar to that in the USA. As supported by the former private healthcare advisor and boss of NHS England ‘Simon Stevens’ (see link at bottom). To implement the STPs, the trusts involved will need the backing of GP's as the trust and its directors of strategy progress through each stage of the STP. Our aim now is to stop them, in their tracks! Differences of opinion have broken out between the GP commissioners group and the hospital trust over what type of Emergency services are currently being provided at Grantham hospital. Grantham A&E department was closed overnight in August this year . As with Chorley A&E, health trust bosses at the Lincolnshire Trust said there weren't enough doctors to staff Grantham A&E around the clock. 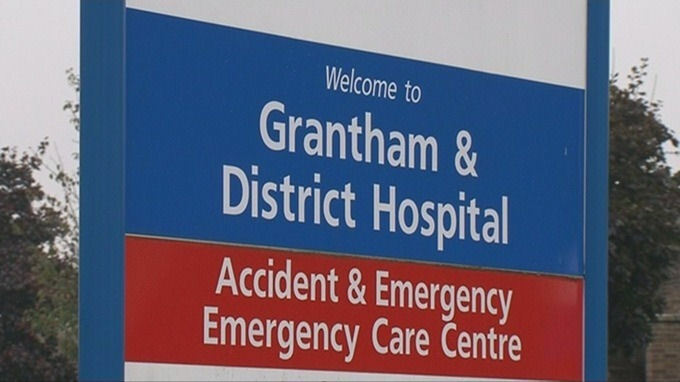 United Lincolnshire Hospitals NHS Trust, who run Grantham hospital, said it was temporarily changing the opening hours of the Grantham A&E to 9am to 6:30pm. So GPs at the meeting in September were asking the Lancashire Teaching Hospitals (LTH) Trust why can't Chorley A&E open the same number of hours as Grantham A&E? The question was put to the LTH Trust at a previous meeting between GP commissioners and the trust. Karen Partington, CEO of Lancashire Teaching Hospitals NHS trust was asked by a GP why Chorley A&E could not follow Grantham hospital and open Chorley A&E 14 hours part-time. Ms Partington told told the meeting she'd been in contact with the CEO of the Grantham Trust who confirmed that Grantham Hospital was not operating an emergency department but was providing services in line with those delivered by the Chorley urgent care centre instead. 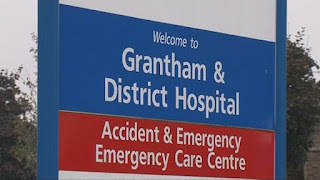 The Grantham hospital emergency department is however still operating 14 hours a day, and this has been widely publicised. Confusion must have broken out with one GP claiming Ms Partington should provide evidence of this via NHS England. Grantham A&E is opened from 9am -6;30 pm seven days a week. It takes medical emergencies but not surgical emergencies. Grantham and District Hospital A&E department supports patients with minor and major injuries from 9am-6.30pm. For more detailed information please visit https://www.ulh.nhs.uk/services/accident-emergency/ and you can also find some answers to frequently asked questions on https://www.ulh.nhs.uk/news/lincolnshires-aes-at-crisis-point-frequently-asked-questions/?platform=hootsuite . So, why would Karen Partington tell the GP-led CCG that the CEO at Grantham had told her emergency services were not available, when they were? In this case it isn't a matter of being 'economical with the truth' now is it? But what do the hospital trust hope to gain by keeping the A&E at Chorley & South Ribble hospital closed? Their are several reasons ranging from the trust needing a 12-month trial period to determine how the Urgent Care Centres and other surrounding hospitals would cope with the closure; financial reasons due to the loss of A&E tariff and the large increase in UCC running costs; to the fact that NHS England will withhold Sustainability & Transformation Plan 'funding' if the trust don't reduce their deficit enough to allow the Sustainability & Transformation Plans to be implemented smoothly. And of course, the elusive middle-grade doctors. It's little surprise that the LTH trust board along with other healthcare associated bodies such as the CCG, ambulance service etc. don't wish the public to attend their secret meetings. It certainly brings into question who's running the show in the 'buyer - provider' internal NHS market. I've always said I have faith in my doctor, and in this case, I maintain that belief. Chorley A&E a less profitable venture? "we receive lower income for non-elective activity as compared to elective activity, and this year our non-elective activity levels have driven down our elective activity". Existence of foundation trusts rely on financial viability, if a service becomes financially less-profitable then that service may go out the window or take a lower priority. In the above, non-elective (emergency) activity (services) have forced the trust to delay or abandon some of the more lucrative 'elective' services. Each time a planned elective operation is cancelled the trust risk facing sanctions plus a loss of income due to the non-elective taking up resources. Emergency services are also higher commercial and clinical risk. Of course, closing the A&E means the emergency service would need to be provided elsewhere, but that's not such a problem for a hospital trust with '2' emergency departments. is it? I'm not saying this is what's happened at Chorley & South Ribble hospital, but when campaigning to reinstate such a treasured service we must consider all possibilities. Lancashire's hospital services are being privatised, and you never even knew it. Hospital services in Lancashire are gradually being privatised, and it's all being done before any public consultation takes place. THE News a few weeks back of the possibility of Chorley and Preston hospitals losing their acute services with all other services being provided at a super-hospital came as a shock to many. But for those who follow the changes in health services will recall that the idea of 'polyclinics' and 'super-hospitals' has been in the pipeline for a long time. Back in 2012 the 'Independent' ran an article about what might happen if a hospital trust in serious deficit failed to pay its debts. It was mentioned that the DoH was unable to explain what will happen if a trust fails to pay its debts or how services to patients would be maintained. "The scale of the challenge facing the NHS is revealed in figures showing that 34 trusts ran up combined debts of £356m in 2011-12 and another 42 relied on handouts from local health authorities or the Department of Health (DoH) to keep them going – almost 19 per cent of the 411 NHS organisations in total, MPs say". For example, the Public Accounts Committee (PAC) in 2012 suggested administrators might be appointed to oversee the crisis-hit South London NHS Healthcare Trust and recommended that it be broken up and run by neighbouring NHS trusts, or offered to private companies. Another example given is about a trust, which runs three hospitals in south London – the Princess Royal in Bromley, the Queen Elizabeth in Woolwich and Queen Mary's in Sidcup – overspent by £65m last year (2011), or more than £1m a week, and became the first in the country to be taken over by government-appointed administrators. The same fate awaits other trusts unless they take radical action to cut budgets by closing departments and merging services with neighbouring organisations. What we saw in the news article the other week about Chorley And Preston & a super-hospital was a glimpse of Lancashire Teaching Hospitals trust 'sustainability & transformation plan' or STP for short. And there's a reason they've kept the STP quiet for so long. 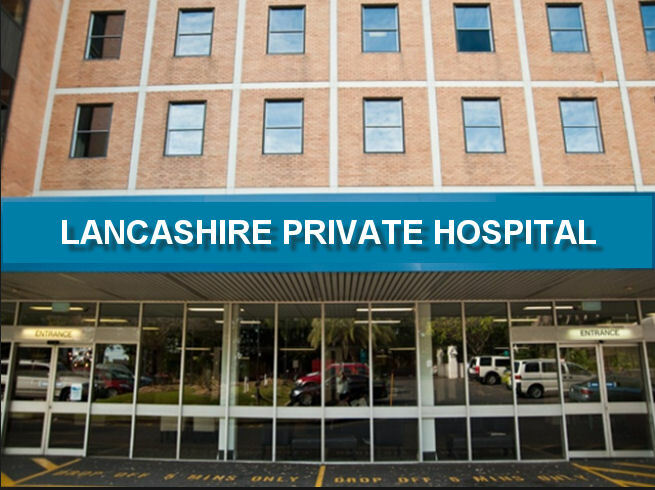 Now recall from my previous post that in June last year, the health watchdog 'NHS Improvement' said it had "serious concerns" over Lancashire Teaching hospital trust's finances after it predicted a £44m rise in its deficit. The Lancashire NHS Trust's budget was forecast to rise from £2.8m in 2015 to £46.8m this year . Something drastic needed to be done. The Lancashire trust simply cannot continue to borrow money to prop-up its services without facing serous financial penalties. Or worse, having to be placed in special measures thus losing its 'foundation trust' status, and ulitmately going bancrupt. This is where the transformation 'plan' comes in. To remain financially viable, the Lancashire trust must run a 'two-step' process that involves relinquishing some services to the private sector, such as the recent contract awarded to the private provider gtd healthcare to run its urgent care centres, followed by a merger with neighbouring trusts. The merger as we now know; is already taking place between Lancashire & South Cumbria under the STP reconfiguration plans. NHS England boss Simon Stevens wrote to all hospital trusts in England last year ordering them to get their finances under control and prepare to implement the 'five-year forward view', a document all trusts have been working towards over the last few years. The 5-year forward view, which includes STP plans for all trusts, involves dividing NHS trusts in England into 44 regions called 'footprints'. Each footprint, such as Lancashire & South Cumbria, have been ordered to produce a plan by 30th June this year to completely change the way the NHS works. This is why we didn't hear about the proposed merger and super-hospital in Lancashire until only a few weeks ago. Footprint Boards have to prove they can clear their debts within a year. And how do they do that? They must cut more services, close more beds, sell off land and hospitals that are public assets. The details of each STP plan for each region will vary, but essentially most if not all local hospitals will no longer provide emergency/acute services and instead be run by private consortiums under the NHS kitemark. Think of this as having a combined hospital & urgent care centre using an 'integrated' approach with elective surgery and some emergency medicine (not A&E) provided by a very large consortium of GP's and nurse practitioners. Essentially, the kaiser permanente American insurance model of a 'polyclinic'. All major A&E/trauma will be provided at the super-hospital, which, will eventually be run as a public/private venture (think of this as a PFI but for healthcare services). 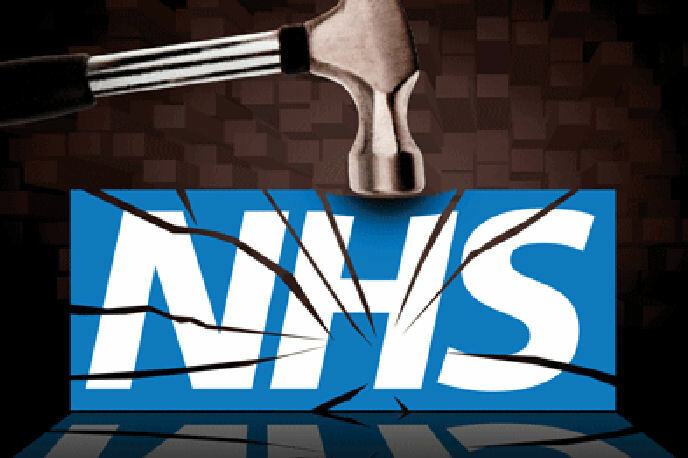 The internal market created in the NHS has indeed got the ball rolling for a full privatisation of our NHS, and we have been betrayed by all those who failed to prevent it. Made much worse of course by the Health & social care bill sauntering through parliament into an Act in 2012 that allows such a takeover of publically run services. The closure of Chorley A&E was no accident, since the Lancashire teaching hospital trust were told in 2014 by the CQC to recruit A&E doctors & nurses to sustain services for the future. The trust chose instead to run a skeleton staff coupled with agency cover alongside consultants paid over-inflated salaries to fill the rotas. We, as stakeholders and users of these services are now paying the price for trust managers failing to take action when they should have. But there is hope. The trust boards are now well aware they are under more scrutiny that that of the CQC. WE are watching, and more importantly we intend stopping their secret STP Plans before they take hold of our services and hand them over to their private buddies. MP's and others may have been sleep walking when they allowed the health & social care act to saunter through parliament. But that's where it STOPS, and now we know the overall plan to denationalise our NHS we can take evasive action and stop it in it tracks. Our Networks are now in place, there will be no footprints, there will be no NHS take-over. And when the time comes, we will be prepared to fight for something that nobody will ever again attempt to take away from us again. There has been no openness and transparency, We have no choice, we must STOP these plans. It looks like the ubiquitous 'health and social act 2012' is now revealing its sordid convoluted contents in the form of devolution of power from central government to local clinical commissioning groups. I read earlier that, due to financial constraints, Vale of York CCG have opted to bar patients deemed 'obese' from knee and hip operations. And as far as a Health policy is concerned, it doesn't get more clinical than that! 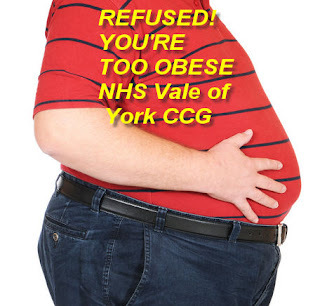 The York CCG have told patients they deem fat and obese that unless they lose weight they must continue to live in pain and suffering because it's their fault they eat too many fatty foods that inevitably place more strain on their joints. The non-life threatening procedures will see patients treatment delayed by a year for those with a body mass index exceeding 30. Now, don't get me wrong here, Maverick once considered himself quite a fat b#stard, but this was due to the western medication he was taking. So, not his fault, but he would still have fallen within the York CCG's category of being refused help on the NHS. The media however, claim that NHS England can 'intervene' and stop the CCG from implementing its draconian measures. On the contrary, the health and social care act 2012 caters for this very provision, and neither NHS England nor the Department of Health can do anything to prevent the CCG from carrying out such measures. NOT content with having a pop at fatties, the tory led department of wealth have turned their attention to SMOKERS. And this is again, all part of their 'ill-health prevention plans' , part of the sustainability and transformation plans dumped ceremoniously on every health trust in England. So, if you're Fat And Smoke, you're goosed! The CCG said obese patients may secure a referral in less than a year if they shed 10% of their weight. Similarly, if smokers refuse to quit they faced having procedures delayed for up to six months, which can be accelerated if they quit their habit for eight weeks. But what's really behind this cull on the obese or smoking population? There’s only one way local health authorities and hospital trusts can make up a huge shortfall in funding (which will otherwise rise to £22bn by 2020) – and that’s to close services and sell off NHS land and hospitals. Preventing people attending hospitals is a big part of the 'plan' and the boss of NHS England, Simon Stevens, believes that closing A&E departments will result in people seeking help in a local care community setting. Local health areas are expected to provide ‘care in the community’ based around downgraded ‘urgent care centres’ – a more profitable model for private takeover. OF course history has shown that centralising A&E services only increases attendances at the newly formed and centralised A&E! In his book, titled How the NHS is being dismantled in 10 easy step, Dr Youssef El Gingihy sums up CCG's rationing of healthcare in a nutshell.. The Health & Social Care Act removes the Government’s responsibility for the NHS, passing it down to a series of other bodies instead. 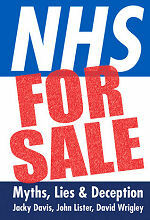 Clinical Commissioning Groups (CCGs) are forced to open contracts to unlimited privatisation. 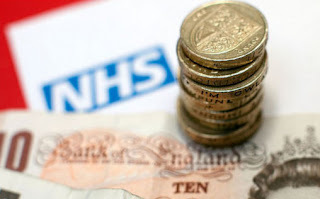 Private companies are “cherry-picking” lucrative contracts leaving NHS trusts with even less money. CCGs are to set to be privatised. It is difficult to believe but CCGs are now legally obliged to provide only emergency care and ambulances; the rest is up to their discretion. This translates into unlimited rationing. So whilst the good, the bad, the poor, and the 'morbidly obese' are forced to buy cheaper in GM touting mega-markets sprouting up in every town and city like cancerous boils, there is no alternative but to blame the overweight for all the ills of a failing NHS. The NHS in England has a real problem. A problem that has been brought about not by people living longer, but by private marketeers and their supporters hacking away at our public service for so long with seemingly little resistance, there is now a HUGE chink in our NHS armour. Yet, like the British resilience, our armour is strong, and most of all, it encompasses those of all sizes without prejudice. So today I say, no matter your size, colour or creed, you are entitled to a National health service that does not discriminate. Of course the real hogs with their snouts in the trough are whose those 'careers' begin on the gravy train of parliamentary MP, then on retirement move on to a £120,000 salary for those they advised whilst in parliament. Ho ho Jack Straw knows what we mean? I'm off to eat a cream bun, and if that means me exceeding 30 on the BMI scale, then I can rest assured I can get my knee op in Lancashire and not Yorkshire? © One Armed Maverick. Powered by Blogger.